Ham and Cheddar Pierogi Bake - GetCooking! Betty Crocker’s – Ham and Cheddar Pierogi Bake recipe. Pierogi—hearty, potato-stuffed Polish dumplings—are the heart of this easy casserole. Start with frozen pierogi, then add cubed ham and a deliciously simple onion-cheese sauce for a weeknight bake that brings some wow to the table. We’d love to hear your feedback on this video recipe format in the comments section below! 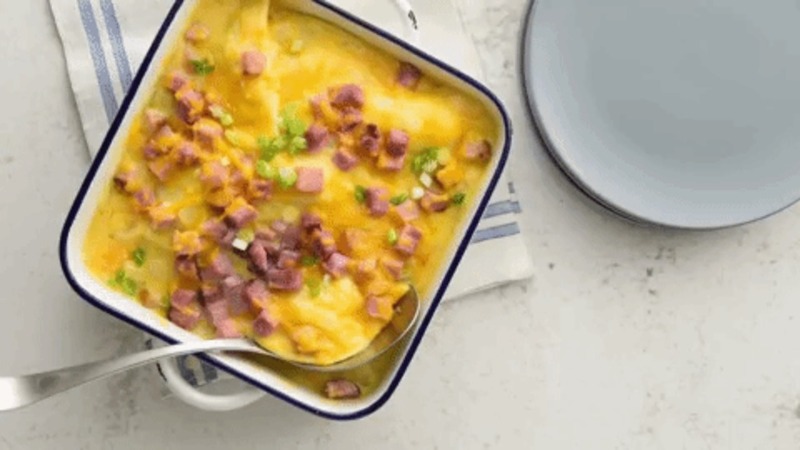 If you used this video to make Ham and Cheddar Pierogi Bake, please tell us how it went! View the original recipe notes here: Betty Crocker’s – Ham and Cheddar Pierogi Bake.